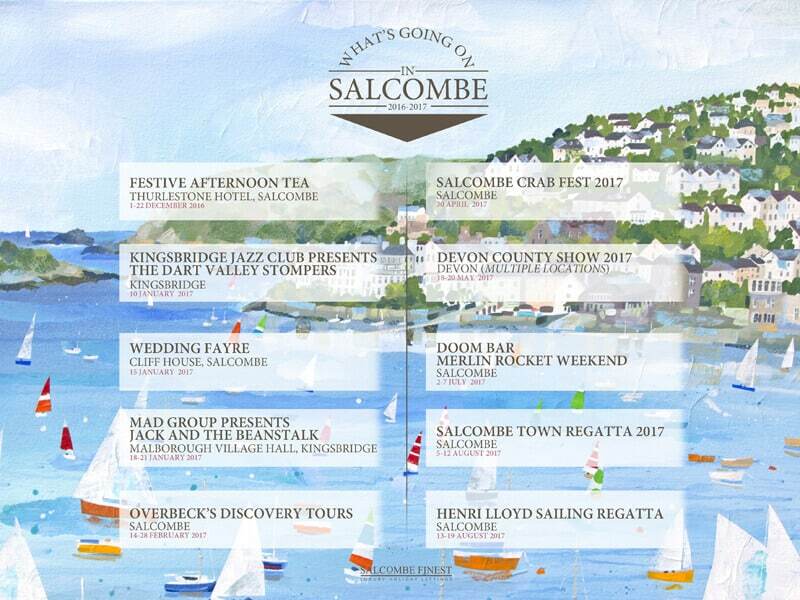 What’s going on in Salcombe 2016-17? Salcombe holidays offer individuals, couples and families the opportunity to unwind and create lasting memories. 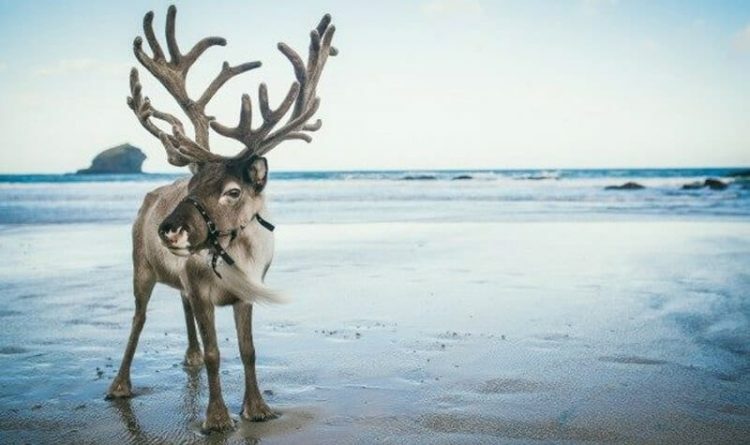 At Salcombe Finest, we understand that planning a holiday is one of the biggest events of the year and so it is important to have something extra special to look forward to. This wonderful seaside town boasts some of Devon’s most picturesque beaches and views, and a vibrant local atmosphere with great food and drinking establishments. Below we have put together an itinerary of awesome events taking place over the year. Carry on reading and choose which time of year you come to Salcombe for the best 2016-17! Over December, Thurlestone is treating visitors to a delightful afternoon tea – festive style! This includes classic sandwiches, Christmas cakes, pastries, scones (with jam and clotted cream! ), and a range of teas and coffees. There’s also a festive cocktail thrown in! The afternoon tea is £37.50 for two people, and is available from 3 pm to 5:30 pm. The Dart Valley Stompers will be performing at The Jazz Cellar, Fisherman’s Rest in Aveton Gifford. Some of the greatest live jazz in the area has come from this venue! Enjoy an early bird dining and jazz experience from 6-6:30 pm, or come on down for the main band which kicks off at 7:30 pm. Booking is essential. Join Cliff House for their annual wedding fayre and gain inspiration for your big day! Whether you are looking for dress ideas, hair and makeup, florists, cakes, caterers, photographers or live music, this event has it all. Overlooking the stunning estuary, you can also come and see why Salcombe would make the perfect location for your wedding! Get yourself down to the Malborough Village Hall for a ground-breaking performance of Jack and the Beanstalk. You can purchase tickets to the show from Marlborough Post Office & Kingsbridge TIC (adults £8/£9 children £4/£5). Overbeck’s – once the beautiful seaside home of scientist and inventor Otto Overbeck – will the open to the public with tours to highlight the facts and highlight some of the things that maybe otherwise be overlooked. A celebration of crab and seafood in Salcombe, this event truly is one of the most fun days out. Get hands on with crabbing demonstrations, crab picking tutorials, commercial crab fishing talks, a live kitchen, crab pot making, music, wine tasting and so much more. Come on down to Island Street in Salcombe this April and get involved. One of Devon’s biggest days out, the Country Show fuses the three Fs: farming, food and fun! The three-day event pays homage to all things Devon and country living. Expect competitions, stalls, traditional local entertainment and a wide range of crafts and activities for all the family. The Merlin Rocket weekend is a huge sailing event in Salcombe – given is reputation the epicentre for all thing nautical! The dingy sailing and social event is run by the Salcombe Yacht Club and promises to be a whale of a time. Nothing screams summertime in Devon like the Salcombe Town Regatta. From sandcastle competitions to the great harbour swim, you’ll not be stuck for something to do during this seaside fun day. In the evening, the event is rounded off with a spectacular fireworks display. The regatta usually brings glorious sunshine and refreshing sea winds, ensuring a memorable day for all the family. Watch the races from the shore or play on the beach, either way the atmosphere is guaranteed to be great during the day. STAY TUNED FOR FOR MORE EVENTS COMING SOON! With plenty of fun activities to choose from, we recommend reserving your luxury accommodation in Salcombe for 2017 today. Please drop us a line or give us a call to find out more about what’s going on in Salcombe. We look forward to hearing from you!